In the Booth provides solid-walled, enclosed booths. Every booth in our network is identical to the images you see on our website. No confusing options, colours or styles. 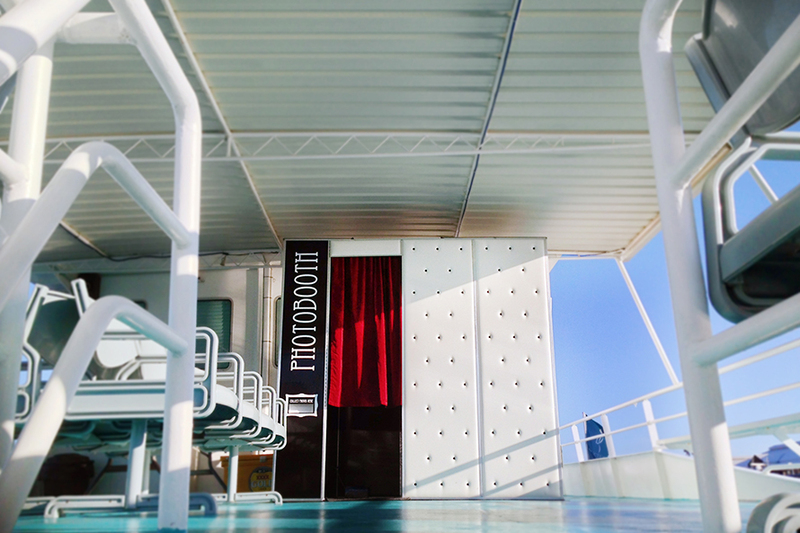 Just striking, classically styled booths that command attention in any venue. We’re tried and true believers in the magic that’s created behind the curtain. An enclosed booth provides privacy for your more reserved guests and offers what may be the only place at your event where you can steal a moment for yourself and your sweetheart. Even your most camera shy guests will produce amazing and creative photos as they go to town in the privacy of our booths. 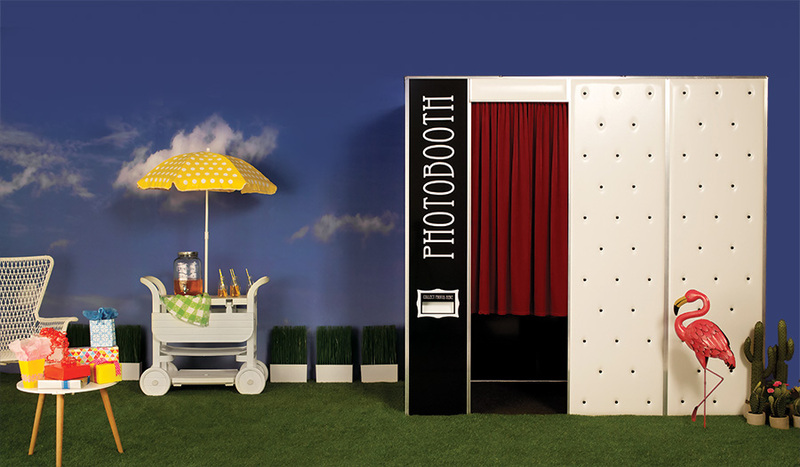 After all, what’s a photo booth without the booth? Two heads don’t make a party, right? Our booths can easily accommodate six to eight people in comfort (and often many more!). 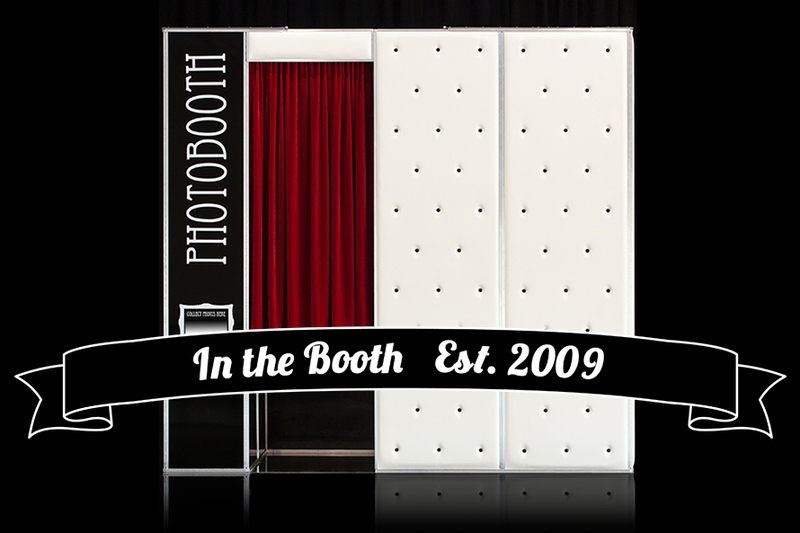 The generous size of our booths allows us to capture the atmosphere and not just your guests’ faces. With full frame images, you’re guaranteed to get the whole story from your guests – and some details you just can’t afford to miss! Each and every image on our website are real photographs, from genuine events, taken by our unique booths. Our unique design gives you the uncompromising solution of an enclosed booth, which can still be setup in just about any venue. We have had our booths set up in lounge rooms, basements, high rise apartments, boats, heritage listed buildings, concert venues, on islands, and under outdoor marquees. Stairs, lifts, and corridors are rarely a problem – if you can host a function there, we can get the booth there! All we need is a level surface, access to standard power and, if outside, shelter from the elements in undesirable weather. To date, there has never been a venue we couldn’t get into. In the Booth has locations all over Australia, including Brisbane, Sunshine Coast, Gold Coast, Toowoomba, Mackay, Whitsundays, Townsville, Tweed, Port Macquarie, Sydney, Sydney West, Canberra, Melbourne, Adelaide, Perth , Broome and Darwin. We love to travel so please contact us to chat about your requirements.